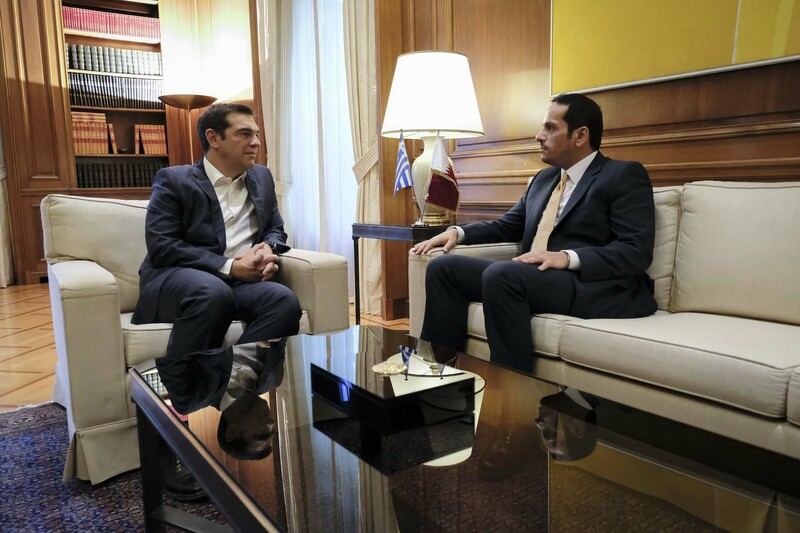 Prime Minister, Alexis Tsipras, met today with Deputy Prime Minister and Minister of Foreign Affairs of Qatar, Sheikh Mohammed bin Abdulrahman Al-Thani. During their meeting, the Prime Minister warmly thanked the Sheikh for the financial support of his country in order to help the victims of the devastating wildfires in Mati. At the same time, at their meeting, the resolution of a number of pending issues was welcomed concerning Qatar investments in Greece and it was agreed to further strengthen bilateral economic cooperation in several areas.